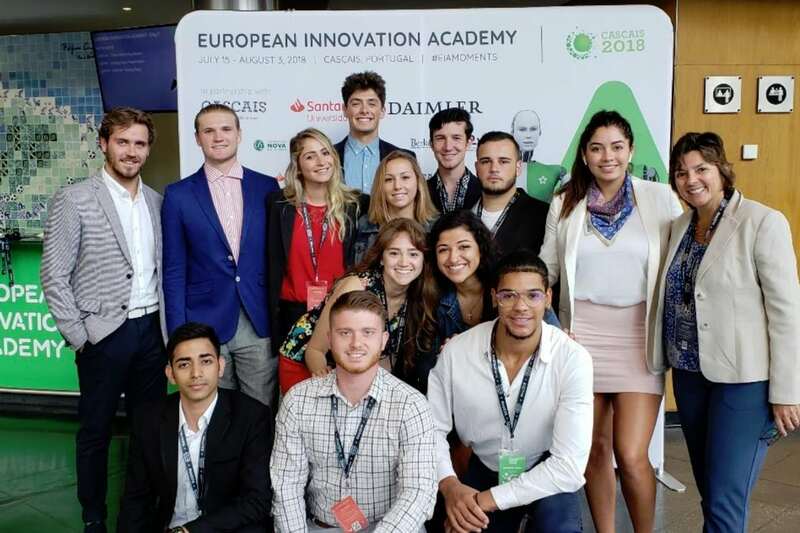 Assistant Professor of International Business Sandra Graça had never taken a class to the European Innovation Academy (EIA) before, but she thought her students might gain a lot more than credit hours. 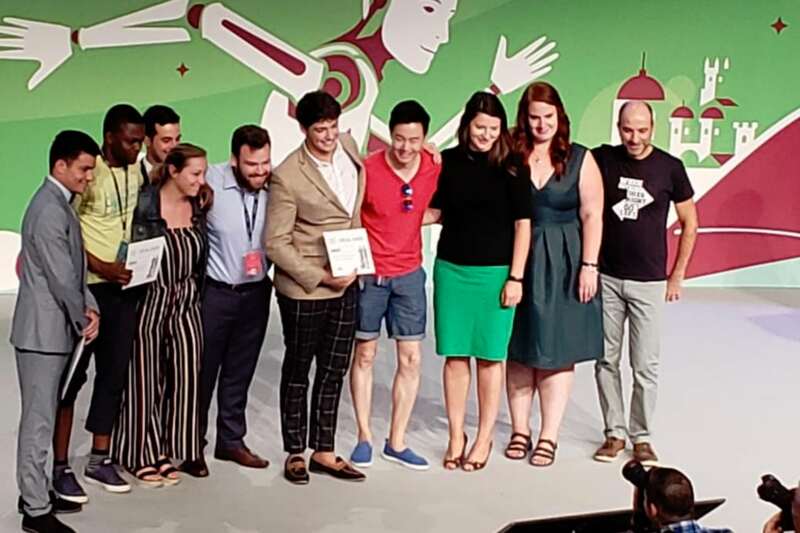 For three weeks in Cascais, Portugal, her 13 Spring-Into-Summer students mingled, collaborated and competed with nearly 500 college students representing 75 countries in an entrepreneurial incubator designed to turn business ideas into the next global enterprise. On July 14, or Day 0, students with business ideas pitched to other students in attendance to try to persuade them to join their team. Eckerd students pitched their ideas, and two were able to advance their projects all the way to product launch, Graça said. International Business majors Casandra Castaneda ’19 and Gabriela Martinez Altamirano ’20 worked on Medilogue and AltCare, services aimed at improving the healthcare experience of patients seeking alternative forms of medical help. John Melchert ’18, an Environmental Studies graduate from Neenah, Wis., joined a team of international students that worked on a service to help local markets sell their produce and other fresh offerings online. Melchert’s team ultimately won an award for a video it produced. The Nixon Peabody IP Law Firm awarded a $10,000 trademark application to Locally, an app idea that would allow people to communicate via message system without Wi-Fi or cell reception. Eckerd seniors Aidan Blake, a management student from Beverly, Mass., and Avery Wakefield, a communication student from Westerville, Ohio, were members of the Locally team. The EIAs are held annually in Portugal, Italy, Qatar and China. Graça’s class spent the Spring Semester in her Marketing a New Global Venture course learning the ins and outs of marketing and development to prepare to compete on the global stage. When the time came for them to show off their stuff, even Graça was impressed. “It was intense. The learning curve is steep, but students rise to the occasion and create wonderful ideas to solve real-life problems,” she said.